Last year’s bronze medallist Kinef (RUS) is the first one in the Final Four while title-holder Sabadell (ESP) made its booking by a decisive away win. 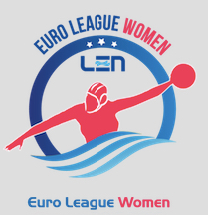 Runner-up UVSE (HUN) and 2015 winner Olympiacos (GRE) both crashed in the last period and need to play with full gear in the return leg in order to return to the Final Four. Kinef didn’t show any mercy in the first game against fellow Russian side Ugra. On Friday, in 3:16 minutes they made a 6-0 rush right in the first period and didn’t slow down until the end. It ended in a thrashing as Kinef won 21-6. The Russian sides agreed in advance to play the return leg on the following day, this was much closer but Kinef earned another win to reach the Final Four once more. The Spanish teams’ visits in Hungary turned out to be fruitful ones, though at the beginning the hosts seemed to catch the upper hand. That was quite surprising in the case of Dunaujvaros, which jumped to a 4-1 lead in eight minutes and was still a goal up at halftime against Sabadell (ESP). But the title-holder Spaniards showed their strength in the third and netted 8 goals in as many minutes. It was an epic 12-goal quarter (4-8) which put the visitors to the right track. The decisive moments came at 7-8 when Sabadell scored three in 1:25 minutes. The surprise came the other way in Budapest where UVSE, finalist in last year, controlled almost the entire match. The Hungarians led 9-4 after the third period and added one more in the fourth for 10-4 with 6:55 to go. Then came a blackout for the Magyars while Mataro, winner of the LEN Trophy last spring, staged a brilliant comeback. They scored five connecting goals and need to overcome a single goal deficit in the return leg to reach the F4 for the first time. Olympiacos (GRE) did a fine job in Padova, scoring three straight goals before the middle break to earn a 3-6 lead. Though the Italians fought hard, the Greek side was overwhelming, with 6:34 minutes remaining they were 6-10 up. Then the ‘Budapest virus’ caught them as well: Padova netted four goals and saved the match to a surprising draw. Marina Savioli scored the last two hits, the first at 0:35, then another one at 0:12 to go, setting up a thrilling match in Piraeus in two-week time.